Hey Tennis Players, I am Ross Wilson, the long-time tennis player and now wannabe a Tennis Coach. I love the game of tennis a lot and out of that pure love and respect for the game, I have started my journey of tennis back in 2010. Since then I have really fallen in love for this great sport. During my initial tennis learning days, I experienced and observed lots of new tennis players facing difficulties about learning the game playing techniques. They really want to learn the game but do not get proper training and then they struggle a lot to master the game. After watching their difficulties, the thought came to my mind about starting an online resource where anyone can learn all about tennis game in simple to understand language. There are lots of tennis terms and phrases that new folks do not understand properly. 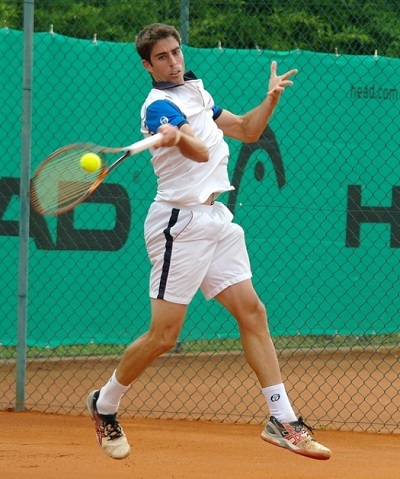 There are lots of tennis strokes and shots that new and intermediate players do not learn correctly. Keeping these difficulties in mind, I thought of starting an online tennis learning resource which can teach all newcomers, intermediate as well as few advanced tennis players about the game specifics of tennis. I mean not just learning but mastering every aspect of the game. In fact, the very name of this site came out of that idea. A Hold is a Tennis Term which literally means to Win the Tennis Game While You Serve. Therefore, I will try my best here at TennisHold.com to provide all the up to date Tennis Training Guides along with Latest and Best Quality Tennis Accessories Reviews regarding Quality Tennis Racquets, Tennis Balls, Tennis Nets, Tennis Shoes, and Many other Equipments that are essential for mastering the game of Tennis. In the end, I would like to welcome to TennisHold.Com as a valuable reader and I hope you will one day become a master tennis player by instilling yourself the right training and proper tennis practice. If you have any queries or questions, then kindly get in touch with me at this page.